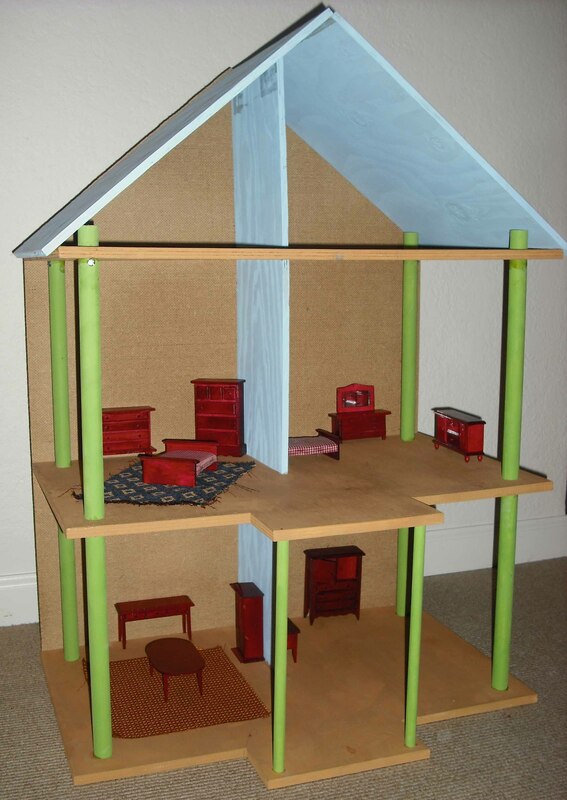 The Callie Doll House is a concept for an inexpensive, easy-to-assemble child’s dollhouse. 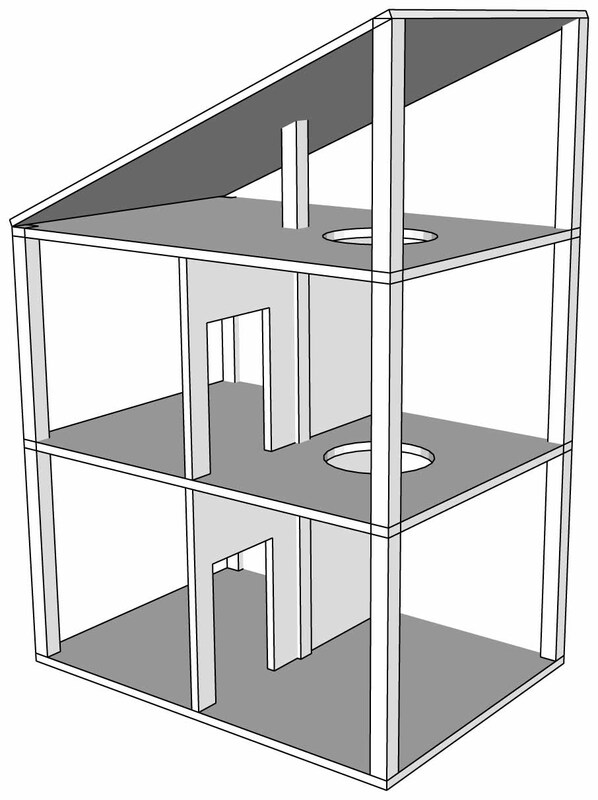 It is designed and constructed of modular materials that can be shipped flat and easily assembled. The process started with a simple idea. 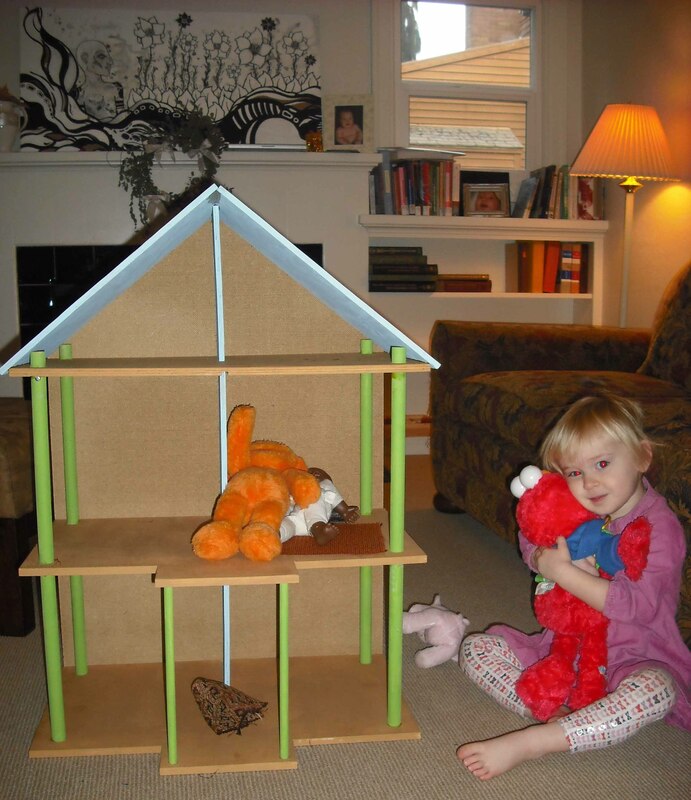 To give a little girl a Doll House that would suit her creative imagination. 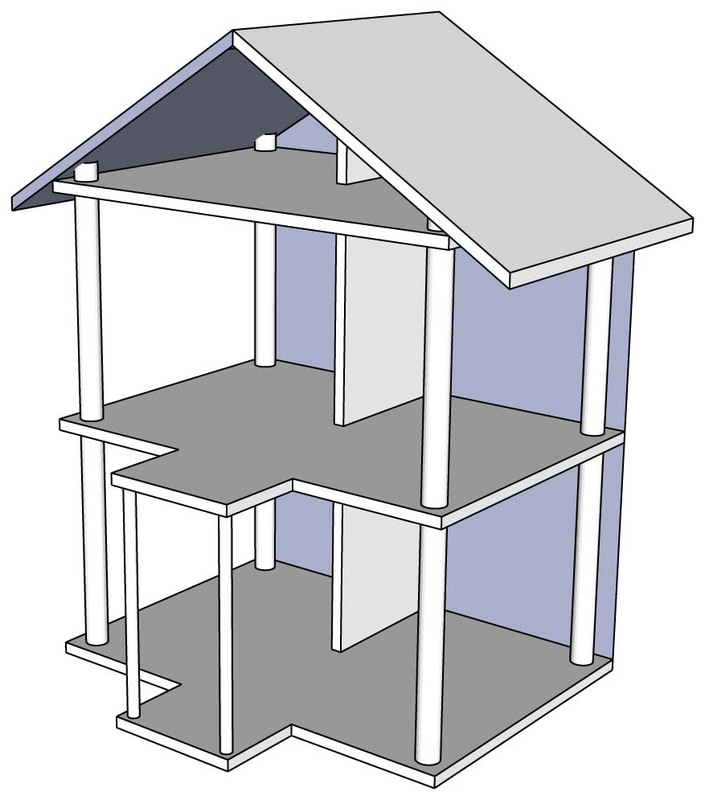 The design process moved from the conceptual level to SketchUp. Then, hands got dirty in the woodshop where all the pieces were cut out for painting and assembly. With $47 in material and 8 hours of labor the Callie Doll House was ready for one lucky little girl to start enjoying. 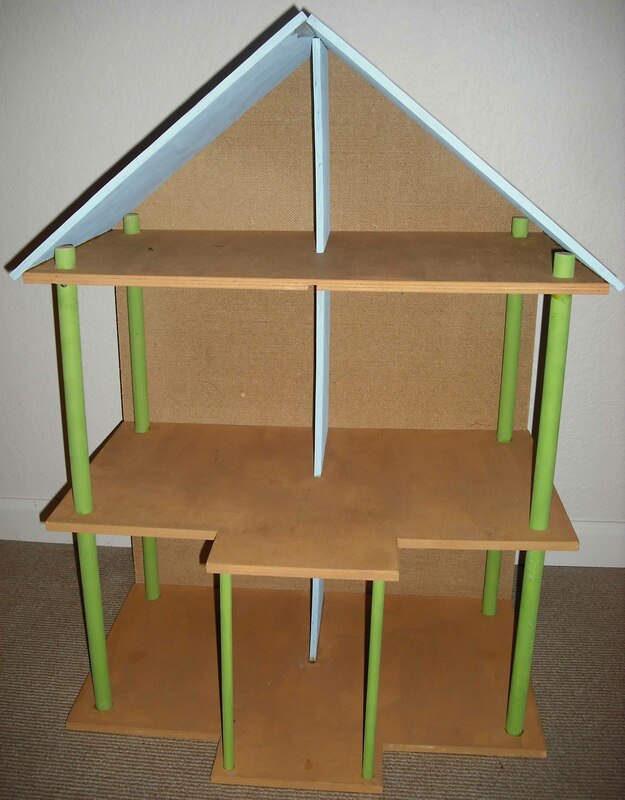 The Callie Doll House is made from modular plywood, dowels, screws, wood glue and “AP Non-toxic” acrylic paint.